We teach a variety of dance styles. Call us today to try your first class FREE. A gift from us to you! 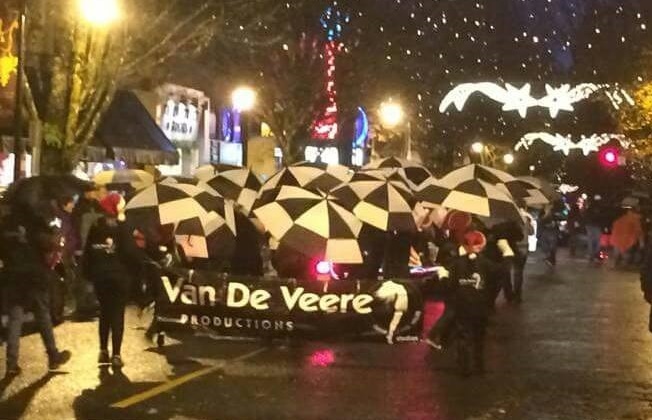 Welcome to Van De Veere Productions! Van De Veere Productions offers a variety of recreational and competition level classes for both singers and dancers. Styles include Ballet, Jazz, Tap, Hip Hop, Musical Theater, Pointe, Lyrical/Contemporary, Tiny Tutus, Tumbling, Bollywood, and Voice Technique/Broadway singing. Our studio creates a fun, positive atmosphere. Through dance, students of all ages learn flexibility, strength, and balance. Learning choreography helps develop skills in teamwork, memory, and focus. Dancers and singers at our studio learn creativity, gain confidence, and discover their inner performer! VDV is also the perfect setting to create lasting friendships! Our dance, production, and vocal teams from West Linn and McMinnville Studios perform and compete at dance competitions around the Northwest. Our vocal program is top notch! Students have won Regional overall titles and are six-time National winners! Van De Veere Productions is entering our 19th season, called “Party Like It’s 19..(99)!” Call us today to try your first class FREE! At VDV, it’s a lifestyle!